Hey! I hope everybody is having a fantastic day! I’m going to be showing you the six steps to scalable growth inside your mortgage business. My name is Chris Johnstone and we are going to hop right into it! This is an outline of the Mortgage Marketing Masterclass that we taught a couple of weeks ago. We just finished chopping that up and turning it into what I believe to be one of the most comprehensive training on digital marketing in the mortgage world, ever! I am going to show you exactly what it is. What we’ve done is we’ve modulated the process to walk you through everything you need to do in order to be successful in growing your mortgage business through advertising. Module number one is going to get you more referrals from past customers. Module two is going to show you how to get more business from your referral partners. Module three is all about how to go directly to the market so that you can actually run ads on social media (Facebook and Instagram) and generate customers. I show you how to set the whole system up, as well as the automation so that you are just getting inbound calls from quality leads that want to get qualified. Then I show you how to take those leads and put them into a follow-up system that actually converts those leads in deals. Once you have all that information, I show you how to plan the whole process and really how to map out the income goal that you want and what steps you need to take in your mortgage business. It is absolutely phenomenal! I know you’re going to love it! What we are doing here in this training is walking you through, at a very high level, the different skills that you need to be using for your business and some different ways to look at growing your mortgage business online. Module one is broken down into 7 independent lessons. The first of these lessons is planning out your success map, because obviously if we don’t know where we’re going it’s very hard to get there. I will walk you through this very simple process of seeing, right now, how much money you’re making from your past customers, how much money you’re making from your referral partners, and how much money you are making from advertising. Then we go through a plan and say, “Ok, how much do we want from each of those sections” so that we know where we need to apply our focus. Then we talk about the power of compound marketing – that is, applying a process to your database marketing of past customers so you get as many referrals as possible from your past customers. Typically, the way that this works out is that for every 100 customers that you have in your past customer database you should be getting about two referrals per month coming into your business. That means if you have 300 past customers, you should be doing six deals a month, on autopilot, just from those referrals from your past customers. Now if you don’t have that, this process will help you start to generate those results in your business by taking you through the three phases of this compound marketing. Phase one is called The Corporation. It is all about building a brand not only around yourself but also the company you are with and then displaying that effectively to your past customers in a way that solidifies their belief in your brand and your ability to help their friends, family or co-workers. We start to indoctrinate them with the fact that they should be sending you referrals. That is all done through very simple things like lump emails and some simple postcards that get sent out to your customers. I will show you how to automate the whole thing in that particular lesson. Then, I take you into The Advisor role. That is where we start to teach and educate your consumers for the long-term so that you’re always staying in front of them – always getting their business. Then in The Celebrity, what we do is we use retargeting on social media and on Google in order to get your message in front of those past customers in your warm networks so when they have a referral, they send it directly to you. Then we teach you how to get people tagging your business on social media, referring people to you on social media and taking your brand viral in the referral sense. From there, I teach you how to profit from being persistent. 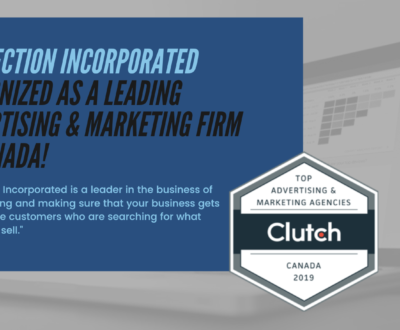 All we do is map out all the steps that need to be done in a marketing calendar so that you can actually take these little bite-size chunks, get them implemented, and get the results you are looking for. Once you’re done with module one, it’s all completed and ready to help you generate more revenue from your past customers. Inside module number two we focus on getting you deals from realtors, financial planners, insurance professionals and any other professional services that are related to your business. Again, we begin with a planning exercise. We map out how many deals you want to get from each of those different partner categories and then we set a goal and start working backwards. We know how many people we need to attract, how many appointments we need to have, how many wins we need to have, in order to get the income that we want at the end of the year. Once you break it down into smaller chunks, all of these goals become very attainable in your business. The goals are no longer just floating around out there. There is no more wanting the results without being sure how to get there. We show you exactly what to do and set a plan for how to go get the money – which is really cool! Then I teach you the three phases of attraction inside the second module. 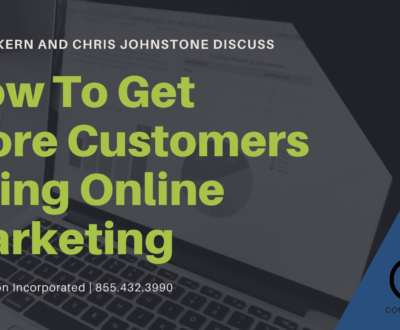 That is, again, a mapped out process on how to make yourself irresistible to your customers so that they are pursuing you while you are also advertising and putting yourself in front of them without bombarding them or cold calling them. You’re attracting them to you. Then in the third part of the module, I teach you the irresistible offer. This simple two-word offer eliminates all of those things and gives you a foot in the door because you make it irresistible for them to at least start working with you. This gives you the opportunity to prove yourself in the business. Then I teach you the three phases of getting as much business as possible from those referral partners. Phase one is how to get their high-quality referrals. I show you how to implement a system in your business for your partners so that they send all of those very high-quality deals right to you. In phase two, I show you how to convert the existing online leads they are already investing in. 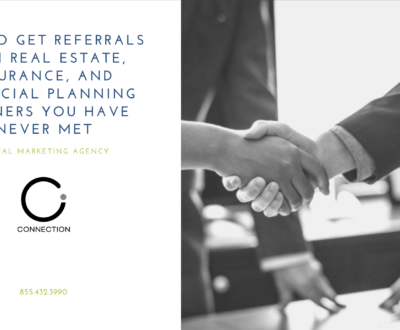 If you have a partner that is coming to you with a marketing agreement or something like that on a platform like Zillow, I show you how to turn the tables on that conversation and actually get free leads and applications from those leads that those realtors have already paid for. You use that as an opportunity to show them that you can convert their leads for them – that you are a valuable partner for their business. All we’re doing in this particular module is using the follow-up system that you get in module number three to follow up on the leads for the realtors. It sends ringless voicemails, text messages, and e-mails, but you’re converting leads that are 30, 60, 90, 120 days old for realtor bringing them back in for you to work with. It’s free leads for you, it’s free closings for the realtor (because they’re not following up on the leads). You’re able to secure the relationship because those deals come to you and you prove your level of service to them and it just helps make the transition into sending all their business to you so much easier. Phase three is The Ultimate Hook. 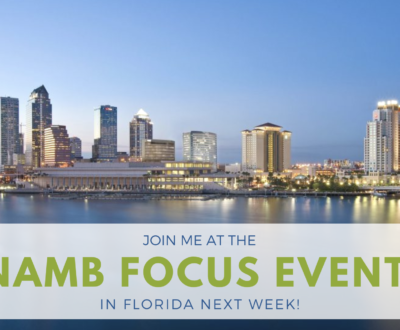 That is where we’re introducing new marketing techniques and new marketing methods to the realtors so that they’re getting more referrals from their past customers. They are getting more deals from direct marketing advertising through sources like Facebook and Google that are much more cost-effective and produce a higher quality lead than what they have been paying much more for through Zillow. By creating these three steps you really do make yourself absolutely irresistible to these partners. The final thing that I’m going to teach you in this module is called the digital flip. What we’re doing is we’re using an almost identical lead funnel that we used to bring mortgage leads into your business, but we build it to attract high-quality realtors in your marketplace. Then we put those people through a funnel before you even talk to them and only the high-quality partners come out at the end. We are booking appointments with realtors for about $20-$25 per appointment with a qualified real estate partner. It’s a phenomenal way to look at online advertising and you get the whole blueprint, the map, the layout of everything inside module two. Then in The Assets section, I show you everything that you need to plug it all together, how the tools work and all that good stuff. You have everything you need to implement all of these great new mortgage marketing tools. By the time you get to module three, you have a blueprint and a plan to get more customers from your past customers in your warm network and you have a blueprint and a plan to go get more real estate partners and insurance partners to send you their business. Then we go direct to market in module number 3. We’ve picked up all the low-hanging fruit in your business, now we’re going to go direct to market and just bring in fresh leads from social media that turn into funded loans. I teach you three phases of online advertising and attracting somebody into your business. In today’s world, you can’t just slap up some broad targeting on Facebook showing ads and get leads. You have to take people through three phases before they will be interested in working with you and I teach you how the whole process works. Then I give you the targeting blueprint and show you how to get rid of the super cold traffic and how to teach Facebook to get you borrowers that have good credit, instead of showing you to the people that are having credit issues. There’s a way to split your traffic and only bring in the high-quality stuff and I teach you that in the targeting blueprint. Then, I take you through the three phases of targeting – a beginner strategy, a moderate strategy, and an advanced strategy – so you have options depending on your budget. If you’re spending $250 a month, you’re at the beginner level. If you’re spending $1,000 a month, you’re at the moderate level. If you’re spending $10,000 a month you’re at the advanced level. There is something in the program for everyone to learn from, but it’s planned so that you can be successful no matter what level you’re at. Then we go into optimization. 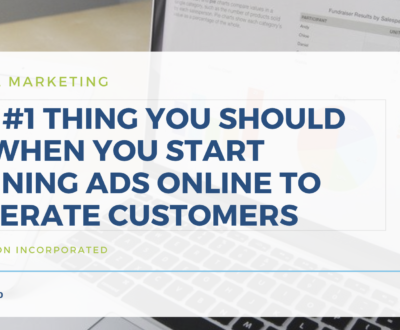 I’ll show you that once your ads have started running on social media, that that’s really just the start. You start by buying data from Facebook and Instagram and you are using that data to create a smarter campaign that produces a better quality lead for you. I’ll show you how to optimize your account so that you’re getting a better response from your advertisements, you’re getting a better response from your targeting, and you get an overall better quality through your funnel for less cost on the actual network. Then I’ll teach you the new campaign structure. This is getting rid of lead forms and opt-in pages and using our new method to generate your leads. This campaign structure repels the low-quality leads and it becomes very attractive to the high-quality leads which generates a much better experience for you (the person who’s actually closing those deals on the other end). Then I’ll teach you the secret to online leads and closings once those people are inside your funnel. Once we have gone over that, I’ll take you through the social mortgage application and I show you how we are using surveys and pre-qualification tools to vet the leads before they come through the funnel – so you know you’re working with a higher quality lead. This is where our Chat Bot comes into play. This is incredibly valuable information (just go to Google and type in “Chat Bot price” and you’ll see what an agency typically charges to develop one of these for you). We have one that walks people through basically a short-form loan application online. We’re not actually taking information to qualifying them, but we are walking them through the same question. That way automatically, through Facebook Messenger, you can see whether you have a good quality leads and where this person is going to fit in your business. Meanwhile, you never have to actually reach out and touch base with them until they reach out to you to book an appointment. It’s a phenomenal way to qualify your leads and position yourself as an incredible expert in your local market place by using this new technology. I’ll show you how to implement the whole thing. Then, I’ll teach you what is called the feedback loop. What we do here, is we take the leads that you generate through your system – we take the high-quality leads that we actually want to work – and we feed that data back into Facebook and Instagram so that they will find us some more of those people. That’s the second phase of optimization. It makes a dramatic difference in the quality of leads that you generate long-term. Then, you’ll get to watch over my shoulder as I build the campaign in real time. Showing you how to implement everything that you have learned in that module. I realize that this is a ton of information but, each of these is broken down into a small bite-sized video. So you’re not watching an hour long video to learn it all, they’re all chunked down into little sections that are anywhere between 5 to 7 minutes long and the longer ones are 18 to 19 minutes long. While you’re going through the training, you know where we’re at and you never lose your spot because you know exactly what step you’re on. In module number four I teach you how to put all of the leads that you get, the referrals that you get from your past clients, the referrals you get from your referral partners, and the leads that are coming through your online funnels into what we call a compound communication system. That means we’re sending ringless voicemails, text messages and emails all on autopilot to these leads. 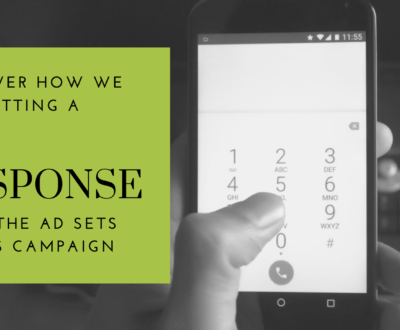 We get about 45% of our leads converting into either an inbound text, an email, or a phone call to a business without you having to do any of the work. You just set the system up once and it sits there and converts those leads for you. We process tens of thousands of leads and we show you all of the stats behind all of that so that you can plan your own system and get the best results. Then I’ll teach you our process. Send this message at this time. Send this message at this time, this message at this time. You’ll have the whole thing laid out as far as the process of following up on the leads. Then I’ll teach you how to program the system. You have to have automation set up that is sending the messages for you. I’ll show you what messages to plug into the system that are actually getting conversions for us. And then I’ll show you how to walk these people through the application. Once they get the automated follow-up system, and they respond back to it, that follow up system shuts off. Now it’s your job to reach out to those people. Get them on the phone and get them to walk through the application together with you during this call. We have learned a ton about the steps that you have to take on the phone with somebody. Most loan officers do it completely the backward. One simple little tweak can get these people to open up to you and give you more of the information that is needed for the application without them feeling like there’s this huge barrier in the sales pitch going on. You’re absolutely going to love what you learn inside module four. Then, I’ll show you how to take this information and use it to get free deals from Zillow and BoomTown by going back to all of the leads that you have in your database and processing them through a compound communication system. By the end of module four, you will be flooded with value from this system. You’ll know how to get more deals from past customers, how to get more deals from referral partners, and how to set up a direct to market system that is scalable with actual funded loans. In module 5, I’ll take you through the process of mapping out your own personal income so that you can tell, after you implement the past customer system, you choose the realtor marketing system and the direct to market marketing system how much volume you will want to generate from each by planning out the personal income that you want in your life. So you know how much work needs to be done in these areas to get you to where you want to go. This empowers you with a very solid goal in your mind of where you want to be in the future so that you will do the work today that is required to get you to your goal. We’ll paint a picture of you at the next level: what your life is going to look like, what you want, and then I’ll walk you through the dollars and cents of it. What your perfect life looks like and how much it cost – you’ve got to know how much it costs. Then I’ll walk you through a really fun process that takes that dollar amount and equates it back to deals in your specific business. I’ll show you how to calculate that so that you have a plan for how many deals you need to do each year, quarter, month, and week in your business in order to hit that income. Then, I’ll show you how to set goals that actually get reached by laying that out on a calendar. Then you can say to yourself, “I’m going to do this action to get this result by this time” and that builds your growth plan from there. Then we’ll talk about getting the money and the power distillation. Distillation is all about doing the minimum amount of work required to get the maximum amount of result. I’ll show you how to figure that out in your business and then walk backward into the results. Now we are onto the sixth module that I’ve added to this training for you. This module shows you how to get deals and customers from Google. I teach you our local Google traffic system, which has been one of our flagship product for years now. What it does is it shows you how to get ranked on Google locally in your specific target market place so that when people are searching for a mortgage lender in your area, you show up with more ratings and reviews than your competitors. It doesn’t generate a ton of leads, because it’s organic traffic, but the leads that you get close at an astronomically high rate. Mike Durr, one of our clients that’s on that system down in Texas, he reports each month closing between 25%, even to up to 40%, of the phone call that he gets into funded loans from that system. It is absolutely groundbreaking information. If you want leads from Google just this module, and the bonus module 6.1, is worth the entire course value of this entire thing. That has changed and transformed many mortgage businesses in their local marketplaces. If you want to be considered the local mortgage expert, that is the module for you. I’ll show you how to use the automated compound communication system to get online reviews from your past customers. I will walk you through how we are getting results in Google AdWords right now by using this funny little tool that they implemented that allows us to use paid ads to get a local map ranking to show up. Sometimes you’ll do a search on Google and see there is a fourth person that shows up on the map that’s buying that spot. It’s kind of tricky to do, but once you know how to do it, you can buy that slot with no competition in your local market place and it generates a phenomenal result. And clicks are very cheap because not a whole lot of people know how to do that yet. Now is the time to get in on that information so you can tap into that. Then I show you how to get closing loans from paid searched traffic. Because it’s a completely different funnel than social media. The people that are searching on on Google have purchase intent and they want answers right now. So you have to give them a different offer and walk them through a different structure and I show you exactly how to do that in this module. Then, I’ll walk you through our retargeting handbook. This is actually our internal staff training manual on how to take our customers and get them retargeting leads and past customers on Facebook, Instagram, YouTube, Google Search Network and Google Display Network. As soon as you have a new lead that comes in your business or you have somebody that’s in your warm network or that has done business with you in the past, you immediately seem like you’re everywhere on the internet and you get the maximum result from all of the momentum that you have in your business right now. That again is one of those things that every mortgage business should be doing in today’s market place and that handbook walks you through exactly how to get everything set up and how to run those ads. Then, I show you how to get customers from YouTube. The YouTube Search Network basically ties into what people search for on Google and then they can tell when people are in the market for a mortgage. In YouTube’s targeting, you can actually target people that are interested in a home loan. You can target to people that are interested in a refinance. They have all of the different loan categories right there just for you to target. You can show an informational YouTube video to somebody who just started the process of looking at online rates and is trying to get qualified for a mortgage. Now there’s a very specific video type that you need to show this person. This goes back to module number three where we talked about getting the right offer to the right market. We teach you how to do that through YouTube videos and then attract that person into an actual application in your business. I think you’re absolutely going to love that as well. And then we have a special bonus for you as well. A one-on-one consultation with our team. In order to find out if this program is right for you, what I want you to do right now is go to www.connectionincorporated.com/planning. On that page, you will have the opportunity to book a one on one session. It’s you and my account manager in a 30 minute session. You just walk through it and you’ll say, “Ok, how do I get more past customer referrals?” and they will map you out a strategy. “How do I get referral partners from online advertising?” and they will map you out a strategy. You ask what strategy you want to plug in your business, they will help you plan out that strategy on the phone. 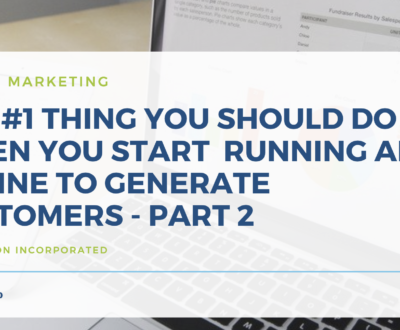 By the end of that 30 minutes, you’ll know the overall marketing strategy and the blueprint for the targeting, the types of ads that you should be running, and how to follow up on those leads in order to close them. 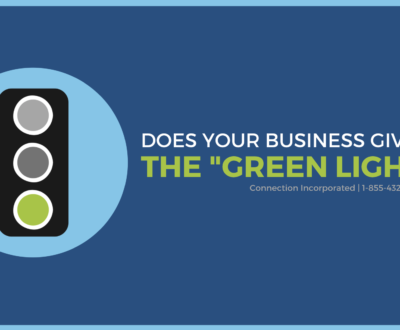 Whether they’re past customers, referral partners or direct to market leads. They will map that whole system out for you so you know what to do moving forward. While you are going through this process, if it looks like our Done-For-You program is a great fit for you, they can let you know how much it costs and whether you qualify to get in on our system. If you go to them and say, “I don’t have time to learn it all and I don’t have time to implement it on my own, but I would like to have all this done for me” then they can talk to you about potentially becoming one of our agency clients where we do everything for you. We craft the ads, run the ads, do the targeting, the whole nine yards. So either way, you will get a marketing plan that will work for you on that call. Then if you want some help, either on the information side or the Done-For-You side, we can talk about that at the end of the call. The main purpose here is to get you some great value and help you with your business using digital mortgage marketing that is proven to help you close more loans. Right now go to www.connectionincorporated.com/planning to find out which of these is right for you. My name is Chris Johnstone and Connection Incorporated is our company and we’re really looking forward to having you on that consultation and helping you as much as we can.